masterShow posts in this category. カラーツールShow posts in this category. マトリョーシカShow posts in this category. 金曜日の午後の呟きShow posts in this category. OlympicShow posts in this category. ParalympicShow posts in this category. Private initialization / 私的初期設定Show posts in this category. Site revival plan / 放置サイト復活計画Show posts in this category. wordpress.comShow posts in this category. WordPress.orgShow posts in this category. 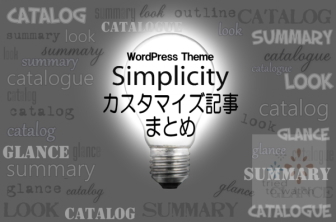 WordPressの移転Show posts in this category. WP備忘録Show posts in this category. ウィジェットShow posts in this category. raindropsShow posts in this category. SimplicityShow posts in this category. WP-CreativixShow posts in this category. WpTHKShow posts in this category. おすすめプラグインShow posts in this category. プラグインの日本語化Show posts in this category. 停止削除プラグインShow posts in this category. 問題・面倒Show posts in this category. WAFShow posts in this category. 基本・基礎・基盤Show posts in this category. ECOShow posts in this category. ロリポップ！Show posts in this category. 備忘録Show posts in this category. 洗濯機Show posts in this category. 電力自由化Show posts in this category.